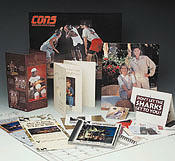 Full color printing provided by colorprintingpros.com at trade prices. with better products and services. of our TRADE PRICING service for SUPPLIED FILES. For printing only pricing, go to our print department site at Color Printing Pros. Catalog Graphics specializes in Advertising and Marketing Literature that sells.